You’ve finally found the holy grail of skin care – natural skin care products! These beautifully packaged, so called “natural skin care” butters and oils promise to take you to skin care nirvana. But after a few weeks use your skin is still kinda feeling the same. Mildly better, but it’s not rocking your world. What went wrong? You’ve had the same combination skin forever and get pesky breakouts about once a month still. You’re over the shine and want clear glowing skin, the bottle says for normal-oily skin so you’re good, right? Not necessarily. There are more factors going on in your skin than just your skin type. Choosing a broad range product for your skin type won’t address the underlying skin condition only a skin care professional can spot. Although these online retailers give general guidance, it’s not the same as getting advice from a trained skin expert. Green-washing is HUGE still. So many products have the words ‘natural’ and ‘organic’ in the label, or come in pretty amber packaging on wooden shelves, but they’re not natural. 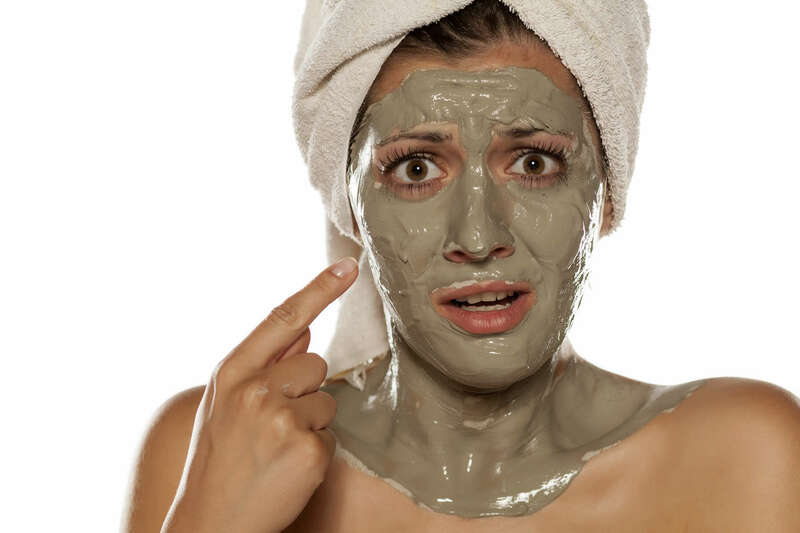 They still contain petro chemical ingredients like sulfates that are going to sabotage your skin. Lots of clients come to me using products like (that product that sounds like Aesop) thinking its natural and wondering why their skin isn’t improving. This is not your fault, but if I can educate you on which are the natural skincare products and what to spot, you’ll be less likely to fall into the trap of fake natural products. With the explosion of natural products on the market certain terms have been confused like oils and serums. Many natural brands market their face oils as ‘serums’, which is not entirely the correct description. Traditionally serums are more like a thin gel consistency that disappear deep into the skin carrying vitamins and antioxidants and a moisturizer I used to lock it in. Oils on the other hand don’t disappear into the skin straight away like a serum and it isn’t necessary to lock them in with a moisturizer as well. Serums are more effective at carrying vitamins into the skin than just oils. Depending on your skin condition and preference these two products have very different purposes. Now I love these little finds as much as the next person, and believe in supporting them to grow into the best version they can be. BUT it is a little bit buyer beware when skincare is being mixed up at home so I tend to stick to more general body products while these products are new. There are a few issues with small homemade brands. Testing for microbial fungus doesn’t happen, so if there’s an issue with the product it could cause adverse reactions. Also testing for splitting and separation of the product may not be done thoroughly enough leaving you with a jar of split sludge. Finally, if essential oils are used and are too strong it can also cause adverse reactions on the skin, and UV sensitivity. Of course this does not apply to all brands, but buyer beware. So what do you do to get the best out of organic and natural skin care? Ultimately consulting an expert with professional brands is the best way to go. But since natural and organic salons are not the norm yet, it can be tricky to find one. Plus then you have the extra expense of having a treatment done, when all you may want is some awesome skincare that’s going to work day to day. This is why I’ve created the concept of an online skin consultation that gives you access to my online store of professional brands. Professional advice ü professional brands ü all natural and organic ü. Plus you get the added bonus of then being a customer and you can re-order our professional products to suit the changing conditions of the skin (and continue to grow with us as we expand our offering).